It is truly stunning how ignorant people are when it comes to stock market and investing. In many human activities and jobs people usually go and educate themselves before they participate in that activity. If one wants to become a dentist, he or she goes to school and spends 10 years educating herself. If another person wants to be a lawyer, it is the same, he goes to school and spends a lot of time in school before he becomes a lawyer. And same goes with a surgeon, and engineer, and even a machinist or operator in a factory. But when it comes to investing you can be as dumb as a log and participate in the stock market, lose all your money, blame the government and other participants for it, and then publish your own opinions and present it as a fact. All it takes is a perspective. 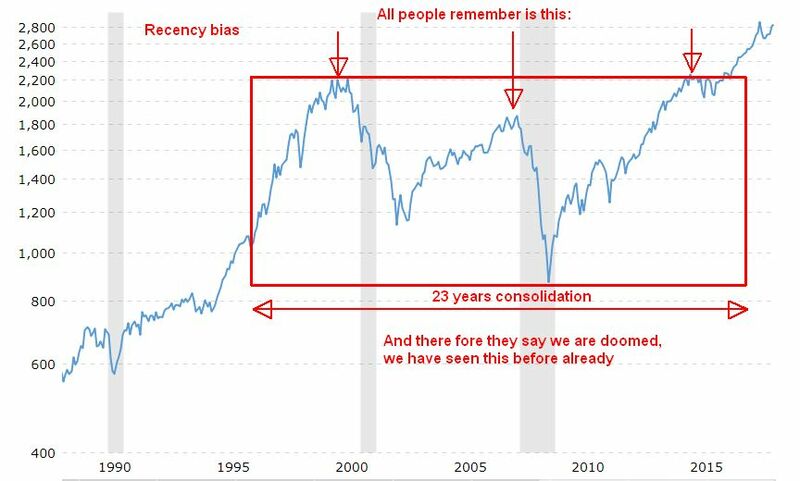 In my previous post I said that all data point to a high probability of this market being at the beginning of something big. Of course, it may change any day and we need to watch this market on a day to day basis to see if anything is changing or not. As of today, we have no indication of the market changing but rather be at the beginning of a new strong rally from a recent breakout. Let’s zoom into the most recent period of time. And media are propagating this also as you could see above. Same young inexperienced people are now looking back 10 years behind and think that they know everything. Yet they are missing the big picture. It is true, we have been in this before! But not in a way as others and media think. But then, the markets made new highs and delivered new gains. and many doomsayers stayed aside because they didn’t believe what was developing in front of their eyes. 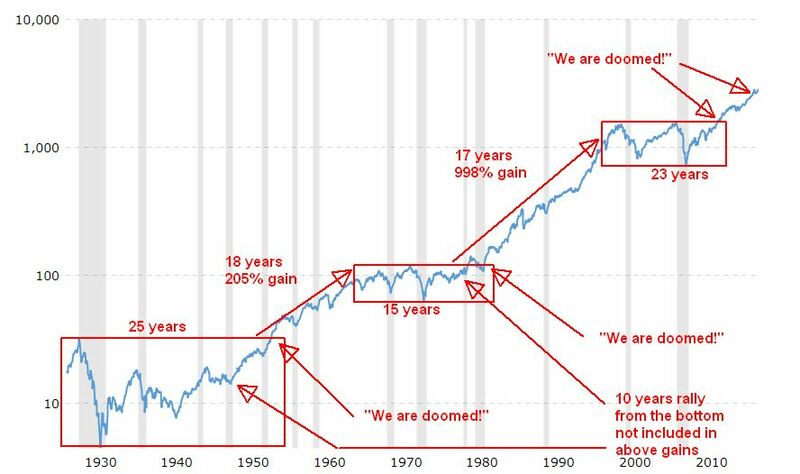 Of course there will be corrections and selloffs on the way up into the new highs but these will be just a great opportunity to buy stocks from weak hands. This is not a prediction of what is going to happen. But there is a high probability of this development in the markets in the next decade or more. 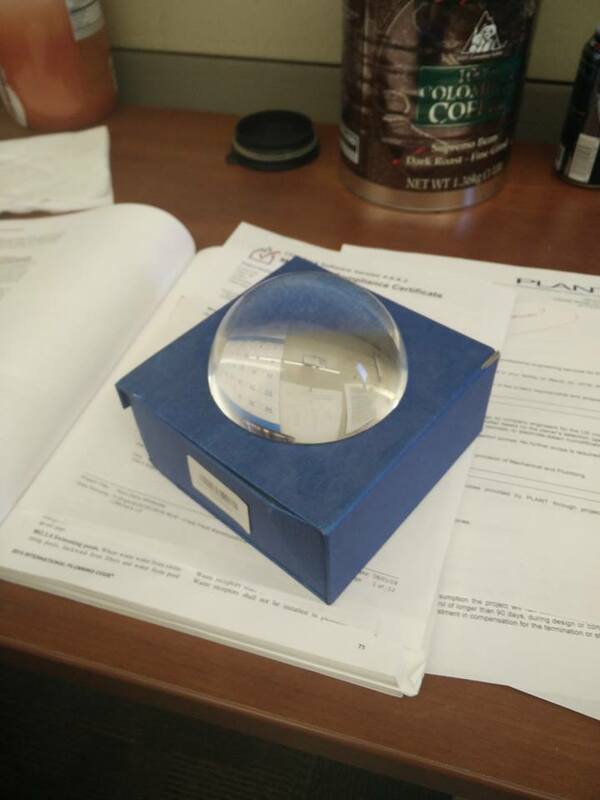 Recently, I purchased my brand new crystal ball to predict the market. With this crystal ball I will only be 50% correct in predicting the market! So be careful!